End user support through i-Deal Games forums is temporary stopped. For support and details contact Strategyfirst inc.
i-Deal Games is pleased to announce that Jagged Alliance 2: Wildfire has gone gold. 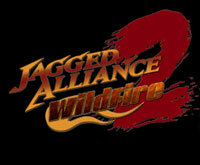 iDeal-Games pleased to announce that Jagged Alliance 2: Widlfire will available in retail shelves of North America in Q1 2004. Game will be publish by Strategy First Inc.